The organizations working to raise awareness about breast cancer did a great job: I am very aware of breast cancer — to the point of paranoia. I religiously do self-exams and ask my doctors to do the same at every appointment. The last time I saw my OB-GYN for my annual exam, I asked her when I should schedule my first mammogram. I'm aware that the guidelines keep changing, but with cancer running rampant in my family, I want to make sure to start them as soon as I need to. That's when she mentioned that I would probably be a good candidate for a baseline mammogram. I decided to look into this a bit more to see if it was the right option for me. So, what is a baseline mammogram? Simply put, it's a person's first mammogram, Dr. Gary Levine, physician and medical director of MemorialCare Breast Centers and Saddleback Medical Center in Laguna Hills, California, tells SheKnows. Previously, Levine says, the recommendation was for all women to have a baseline mammogram at age 35 and to begin yearly mammographic screening at age 40. However, now the American College of Radiology, Society of Breast Imaging, American College of Obstetrics and Gynecology and MemorialCare Breast Centers recommend that all women have a baseline screening mammogram at age 40 and then screen annually. "For women with a strong family history of breast cancer, history of radiation therapy to the chest or known genetic mutation, screening may begin at an earlier age, and they should consult with their physician," Levine notes. In addition, there are other organizations that suggest that a baseline screening can be delayed until age 50, Levine says. "However, it is important to note that 20 percent of the patients we diagnose with breast cancer are under age 50. If not screened, these women would not have the benefit of 'early detection' and would be diagnosed with a larger and potentially more dangerous cancer. Furthermore, more than 40 percent of the years of life lost to breast cancer are among women diagnosed in their 40s." It's important to note that routine breast cancer screening is recommended for all women, regardless of family history, Levine says, adding that 75 percent of the women who are diagnosed with breast cancer have no prior family history of the condition. 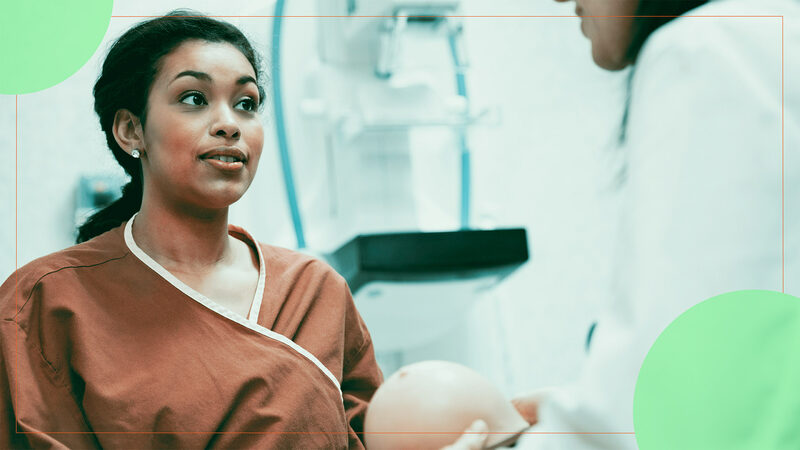 The tricky part is that not all insurance plans cover baseline mammograms, so check with your provider before scheduling one so there are no surprises when the bill comes. For example, women covered by Medicare Part B are entitled to one baseline mammogram between the ages of 35 and 39, but that may not be the case with all plans. Either way, it's good to know that baseline mammograms are an option, especially for those with a family history of breast cancer.